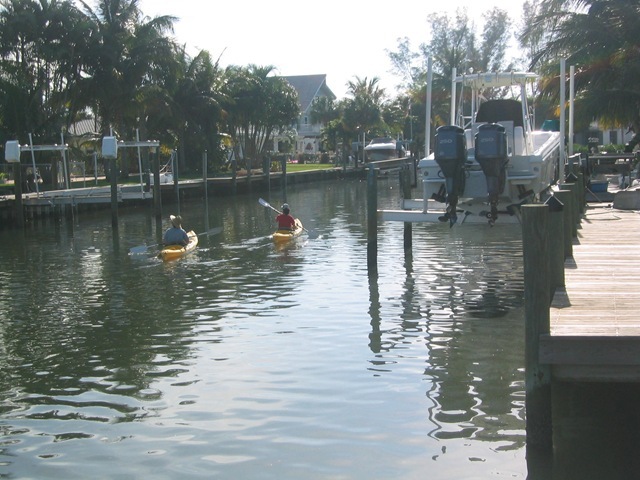 Exploring the wide variety of neighborhoods on beautiful Anna Maria Island is easy and fun. Depending on how much time you have, you can take a quick car tour, or a leisurely stroll. And there are many other options in between. In addition to all the fine shops and restaurants that attract many visitors, the neighborhoods, themselves, are an attraction. The charming old houses and dense vegetation that characterize “Old Florida” offer endless interesting details and variety to be enjoyed by the curious visitor or local. One way to get an even more intimate look at the lovely neighborhoods of Anna Maria Island is to tour around it on weekends, in order to drop in at yard sales and real estate open houses. It’s a sure way to make friends and see how other people have chosen to live on an island. The island’s free trolley makes it very easy to travel any part of the island on foot, since you can always hop on for a ride if you get tired or short on time. This brings up a great way to start a walk from a variety of points around the island. It also makes it easy to take long walks in one direction without having to backtrack to get home. Another fun way to wind up and down the streets to look at the vegetation and architecture is from the other side … the water. The island is ideal for very pleasant kayaking. 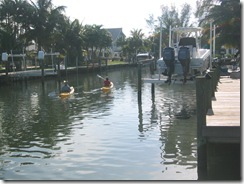 The canals off of Bimini Bay are quite sheltered, offering smooth conditions even on breezy days. In addition to seeing interesting trees, flowers, decks and docks, one may be greeted by a manatee, a dolphin or a duck. And it’s not unusual to see a variety of herons, ospreys, and egrets perching and staring at you as you go by. This entry was posted in Tourism and tagged Canals, Golf carts, Island real estate, Island rental, kayaking, LSV, Old Florida houses on September 30, 2009 by Mike.